If you took a penny and doubled it every day for 30 years, and did not pay the taxes until the end of the 30 year period, you would have $10 million dollars. If you took that same penny, doubled it every day, and paid taxes on it every year during that 30 years (28% tax bracket) you would only have $60,000*. That is the power of tax deferral. One of the reasons so much money has been built up in our retirement plans is tax deferral. Annuities, can be a great approach to tax deferral, are greatly misunderstood in this country. The tax benefits and safety of principal the annuity product offers can help people prepare for their retirement and enjoy it once they get there. Fixed annuities offer tax deferred growth. If you contributed $100,000 after-tax money into a fixed annuity, the earnings on the $100,000 from that point forward will grow tax deferred. You will only pay taxes when you withdraw the earnings, unless the money is from a qualified annuity and both earnings and contributions are taxed. Annuities can benefit people who have interest that they just let compound or roll back into accounts such as CDs, savings accounts, and mutual funds. Annuities could help you control your taxes by reducing what is reported on your tax return for taxable income each year. If you receive $10,000 of interest income annually, and you let the interest income compound you must claim that $10,000 of taxable income on your taxes. 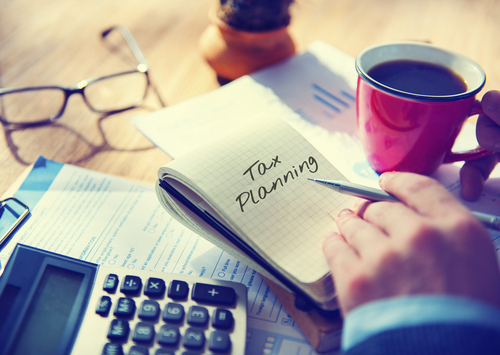 That much taxable income could possibly be taken off of your tax return if the money used to generate such income was used to purchase an annuity instead. Annuities can help provide control over your taxes and your taxable income. For example, you receive $10,000 of interest income annually and you are just letting this $10,000 income compound. If the Money generating the interest income were put into a fixed annuity you could take $200 per month as a systematic withdrawal, and only be taxed on that amount. By doing so, you would give yourself a an additional $2,400 in annual spendable income while potentially lowering your taxable income by $7,600 and helping you pay less in taxes. There are several different options for taking income from fixed annuities if you choose. Most fixed annuities allow systematic withdrawals in the first year, usually after the policy has been in force for a few weeks. You can take withdrawals from fixed annuities either monthly, quarterly, semi-annually, or annually. Most companies offer these withdrawals to be direct deposited right into your checking or savings account. You can normally choose your preferred day of the month to have the money deposited in your account. If your social security check comes in on the 3rd of the month, you can choose to have your monthly annuity payment direct deposited on the same day for your convenience. With fixed annuities you have the ability to choose how much income you want to take from the annuity. If the annuity makes approximately $1,000 per month in interest, you can choose to take $200 per month for extra income and the extra $800 will continue to accumulate tax deferred in your annuity contract. You also have the availability to change your income whenever you need to. For example, if you were taking $200 per month and your needs change so that you need to take $300 per month, you will have the ability to make that change. Most fixed annuities have a common free withdrawal maximum of 10% per year. Withdrawals in excess of the free amount will be subject to withdrawal charges and a market value adjustment. Any withdrawals made prior to age 59½ may also be subject to a 10% IRA tax penalty. We will take the time to determine your individual goals and needs, to help provide you with a retirement free of worry.